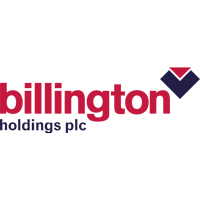 Billington Holdings PLC (LON:BILN) Chief Executive Officer Mark Smith caught up with DirectorsTalk for an exclusive interview to discuss their full year results and having confidence for the year ahead. Q1: First of all, Mark, I’d just like to say well done on another strong set of results. Can you talk us through the highlights of those results? A1: We’re very pleased with the performance of the Group that has managed to achieve a consistent year-on-year growth. The 2019 results represent a record turnover and profit for the company in its present form, the turnover has risen to £77.3 million which generates a Profit Before Tax of £4.9 million and a margin 6.3%, that’s an 11.4% increase over the previous year. We’re very pleased that the Earnings Per Share have increased to 33.6p enabling a dividend payment of 13p per share and that represents a yield of 4.8%. Q2: Now, during the year Billington Holdings saw strong growth across all of its subsidiaries, can you tell us a bit more about what has driven this? A2: Well, all group companies have grown organically on the back of a buoyant market benefitting from the capital investment made in the previous years, in both tangible assets and individual skillset. Each company has expanded into new markets and we’ve experienced an increase in the average size of contract across the board. We’ve also identified new associated products that we’re able to offer as construction solutions and there’s been an ongoing focus to cross-sell all of our group companies across the group as well. Q3: So, what are the key current drivers in the steel industry and where are you seeing the most opportunity? A3: The largest part of the group is Billington Structures and they contract across all sectors nationwide from commercial, industrial, education to leisure and everything in between. In particular, we’ve experienced an increase in the industrial market resulting in the construction of large distribution warehouses. Other areas of growth, large multi-storey commercial developments that we’ve noticed particularly in the regions and the construction of large data centres that house online document storage. Every year, we’ve been involved in the continual investment in education and last year was no different, we experienced a construction of a number of secondary schools as part of a partner framework. Q4: How has 2019 started for Billington Holdings and do you remain confident for the year ahead? A4: Yes, 2019 has started with an unprecedented order book for the group which sees production spanning deep into 2019 and some projects beyond in Q1 and Q2 of 2020. Enquiries and opportunities received into the company remain at a level that allows us to be optimistic about forward workloads towards the conclusion of the year and, as I say, looking forward to 2020. The company has an increasing reputation for its ability to deliver construction solutions for the most prestigious and demanding of projects for its partner clients.